I received an email from Apple that looked a bit like this. 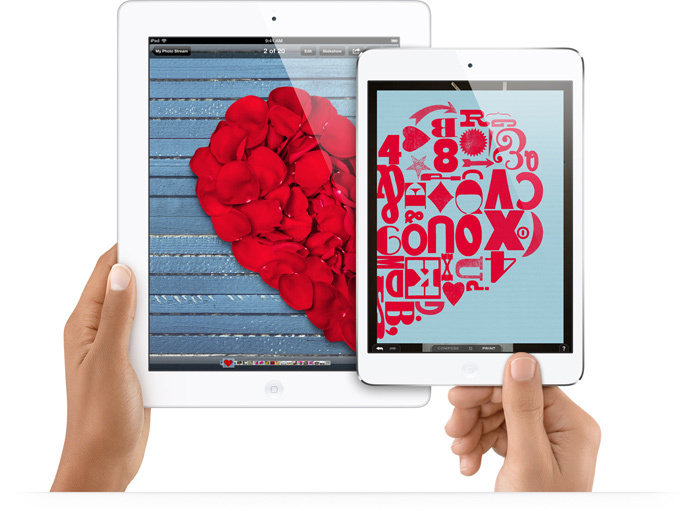 Choose the iPad that’s perfect for your valentine. Buy iPad or iPad mini online and get free engraving and free shipping. Or pick one up at your favourite Apple Retail Store. Spend that much money on a Valentine? Why? Yes, St. Valentine’s Day may be a day to celebrate love, but why on earth should that mean spending vast amounts of money on someone? A meal out, or a meal in; a walk in a beautiful place; snuggling up on the sofa; talking; being together – these are things that represent love. If you don’t spend money on someone, don’t you love them? And if you do spend a fortune, does that show true love? I’m getting tired of your approach to advertising. If you want to sent me information about your products, feel free. But don’t suggest to me that love and spending are one and the same. Don’t suggest that giving things (things that, according to your advertising, last only until the next version comes out) is the same as showing love. Love lasts forever, your stuff doesn’t. This entry was posted in Uncategorized and tagged Apple, Love, possessions. Bookmark the permalink.